Uh....... this guy. And Damon Wayans. And a bunch of randoms. First things first: I wish I had known this movie was loosely based on a Marvel Comic book. That would have saved me a lot of confusion over the title. As it was, it really wasn't explained until the end of the movie. Not that big of a deal, I realize, but if you're going to make a trailer as vague as this, at least the title should tell you what the movie is about. Now, let's talk about how happy I am Disney did another movie with Asian characters. Considering 60% (yes, you read that correctly) of the world's population lives in Asia (so not even counting those of Asian descent who live elsewhere), you'd think they would have more than just Mulan and The Jungle Book to show for it. 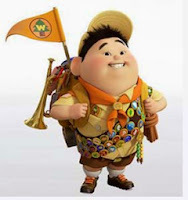 Oh right, and Russell from Up. But disregarding its penchant for movies about white girls, Disney knows how to make a movie feel authentic. Set in the fictional city of San Fransoyko, the movie take pains to mix the architecture and skyline of both San Francisco and Tokyo. And though Hiro and Tadashi could have looked more Asian (I love Hapas, but why make them mixed at all? )), Disney at least made sure to omit the famous Caucasian "eyelid crease" and casted actual Asian people to voice the Asian characters. This might be the teacher in me, but I absolutely love the focus on science and technology and making it cool. It reminded me of Meet the Robinsons in that way (both movies also excelled at awkward humor), except that no one watched Meet the Robinsons and Big Hero 6 managed to debut at #1 at the box office. It managed to capitalize on the current superhero craze without making everyone in the audience think, "oh f*ck, it's the Avengers, but Japanese!" But honestly, that's really what the movie is--it's an action movie with a group of people with varying talents. Of course, these are man-made talents and not divine powers, but it's basically the same idea. And it's about as predictable as the average action movie. Where this movie distinguishes itself is the fact that there is a plot beyond "beat the bad guys." 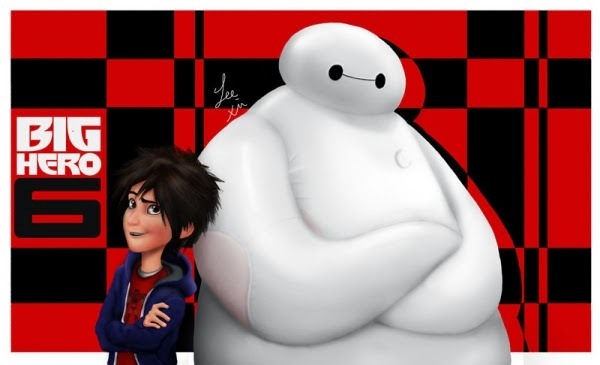 And of course, Baymax (seen left) is an awesome addition. 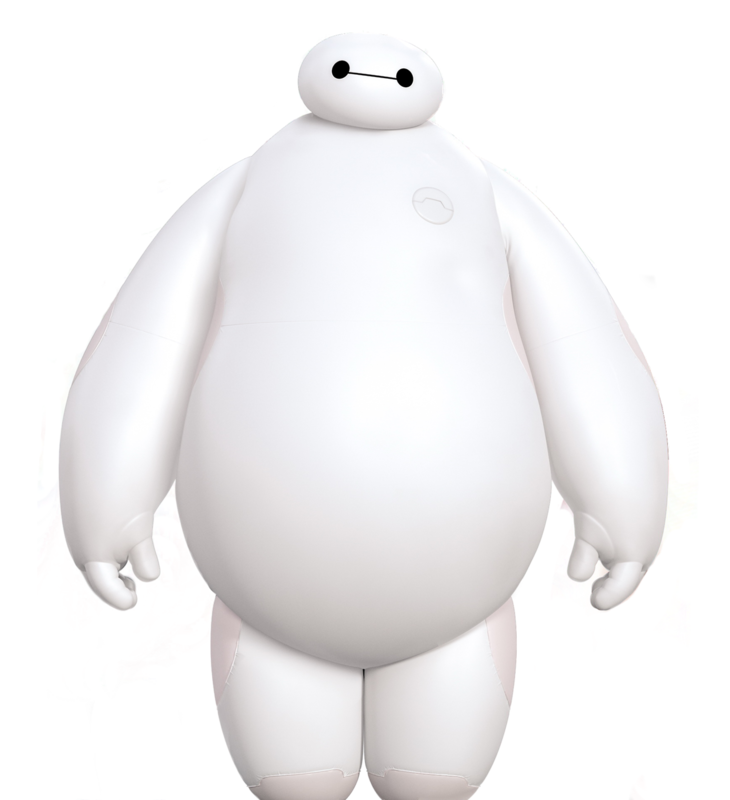 He's a bit un-PC because, you know, he's fat and there are plenty of jokes surrounding that fact, but I suppose it's less offensive because he's a robot and not a real person. But still, the connotation is there. In the end, the movie manages to be both exciting (minus a flight sequence that goes on for far too long) and heart-warming throughout. As always, Disney balances the attention spans and humor level of both children and adults seamlessly. And of course, having one of their cute little animated shorts before the movie makes it even better. Final word: Disney. Asians. Robots. Superheroes. There is just no going wrong.